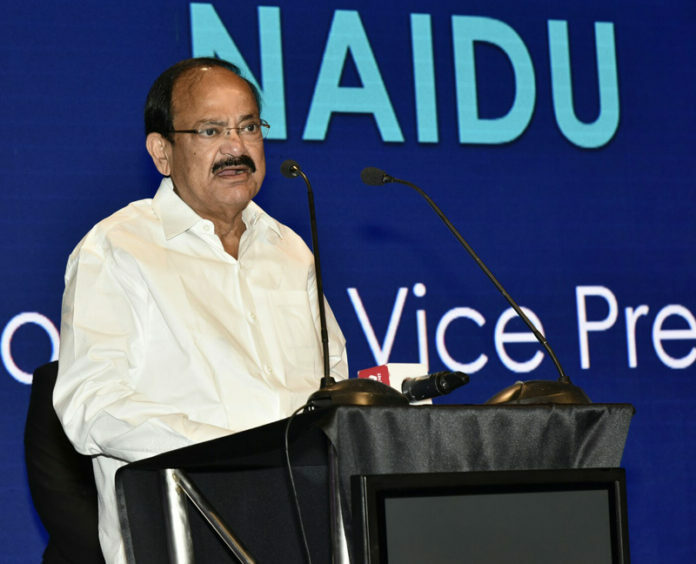 The Vice President, Shri M. Venkaiah Naidu addressing the Entrepreneurs Organisation Global University Conference 2017, in Hyderabad on October 25, 2017. Hyderabad: The Vice president of India, Shri M. Venkaiah Naidu has said that inclusive economic growth is central to development. He was addressing the inaugural session of the Entrepreneurs’ Organisation Global University Conference 2017, in Hyderabad today. The Minister for IT, Municipal Administration & Urban Development, Industries & Commerce, Public Enterprises, Sugar, Mines & Geology, NRI Affairs, Government of Telangana, Shri K.T. 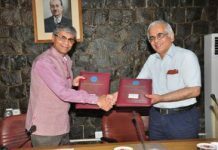 Rama Rao, the Director of Entrepreneurs Organizations Hyderabad Global University, Dr. Luis Chasi and other dignitaries were present on the occasion. The Vice President said that the government focusing more on creating jobs, than seeking jobs. He further said that to achieve Sustainable Development goals, inequalities in opportunities must be removed. The Prime Minister, Shri Narendra Modi has given the mantra – “Reform, Perform and Transform” to foster faster development, he added. The Vice President said that ‘Skill India’, ‘Start up India’ and ‘Make in India’ initiatives will nurture entrepreneurship in the country. 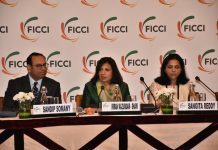 There will be no red tape, only red carpet, for investors, he said in a lighter vein. He further said that both Demonetisation and implementation of Goods and Service Tax (GST) would augur well for the country in future. These revolutionary steps would bring more revenue for the government, which can be spent on welfare programmes, he added. 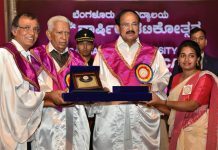 The Vice President said that LPG – ‘Liberalisation, Privatisation and Globalisation’ are the order of the day. He exhorted the youth to work with courage, competence, confidence and commitment. The Vice President said that the theme of this conference is ‘Jugaad’ or what we can call ‘improvisation’ and we have to create more opportunities with the scarce resources. He dwelt upon certain examples such as building of the ‘Rama Setu’ by Sri Rama to cross over to Lanka. He also mentioned the design of the Nano car, the Dabbawallahs of Mumbai who deliver 2 lakh lunch boxes daily and Shri Sonam Wangchuck’s ice stupas or artificial glaciers in Ladakh that provide water to farmers when they need it most. The Vice President said that the financial sector has seen innovation event and three years ago, there were only 15 million bank accounts in a country of 1.2 billion people. The country wanted a change and today more than 50 million people are now connected and part of the modern financial system. How did it happen? It was again a ‘Jugaad,’ backed by a very small and noble thought that “if people won’t come to banks then let banks go to the people”, he added.